Over the years of our operation, Plotin Travel has earned the respect and the admiration of many Organizations and Tourism Clubs. Therefore, Plotin Travel is a respectful and fully licensed Tour Operator agency by the GNTO and HATTA(Hellenic Association of Travel & Tourist Agencies), S.C.T.C (Scientific Company Travel Corfu). 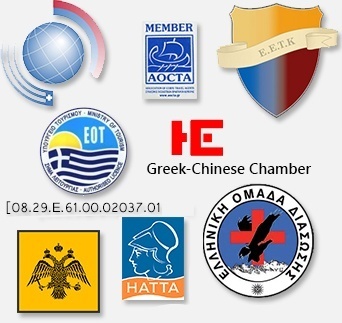 Also, proud member of AOCTA ( Association of Corfu Travel Agents), G.R.T(Greek Rescue Team), HRCC Hellinic-Russian Chamber of Commerce and the Hellenic-Chinese Chamber.